The Lowell Transitional Living Center is the largest homeless shelter and support organization north of Boston with 90 beds and 70 emergency beds. They provide shelter, food, services and support for the chronically homeless and those left homeless by crisis-job loss, illness, fire or other disaster. LTLC provides 110,000 meals annually, serving three meals daily 365 days per year. They receive funding for approximately 50% of those meals. Community Meals is an LTLC program where participating groups prepare a healthy meal. 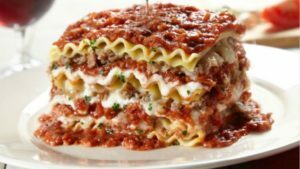 Outreach is looking for community members to help prepare a meal of lasagna, salad and bread at church and others to deliver and serve the meal at the LTLC on Sunday 4/2. Please click here to sign up!